Base 5 Guard security company led by its Managing Director Lucky Moshimane commemorated Mandela Day at Diepsloot community hall. 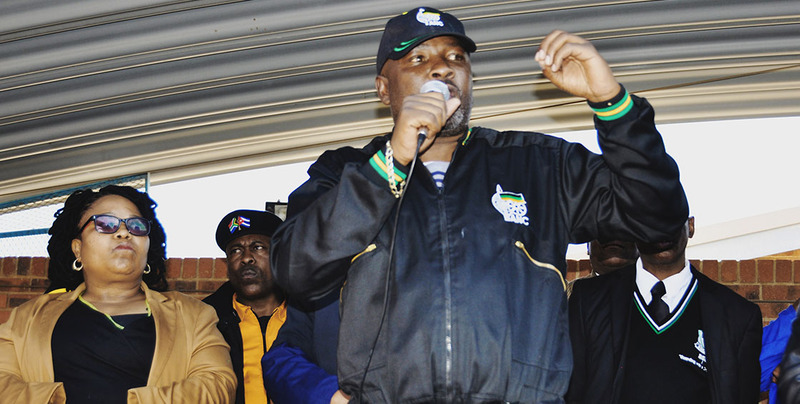 The event was heavily attended by the ANC and community members especially the elderly. The event started very early before sunrise, that saw the Soweto branch of Base 5 Guard locking their offices and cause traffic on the road herding to Diepsloot. Upon arrival the Base 5 Guard team started with their preparations for the event. Immediately after Sunrise community members started arriving to commemorate the struggle icon and were served with breakfast by Base 5 Guard security guards, ahead of the Northern Western Township Tour (Noweto Tour). donations. 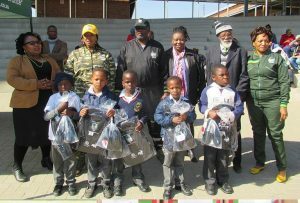 Some schools received lunch, others received school shoes and others were given school bags. This act of kindness from the security company brought smiles on the little ones. The Noweto Tour lasted almost the entire day, which saw the tour bus returning to Diepsloot Community hall where different community stakeholders delivered speeches. Community leaders posing with beneficiaries. Base 5 Guard Managing Director Lucky Moshimane the founder of Diepsloot said it is now a norm in his company to celebrate Mandela Day. Moshimane says the struggle icon impacted his life which is why he is carrying on with Madiba’s legacy. An ANC Veteran attending the event used the opportunity to criticize corruption in the country. He also emphasized on reconciliation across all races, saying this is what Madiba requested shortly after being released from prison. 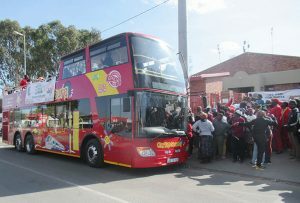 The community members of Diepsloot and the elderly taking a tour bus ahead of the Noweto Tour. Diepsloot resident Nondumo Nsele says she enjoyed herself and she celebrated Mandela Day well with Base 5 Guard. 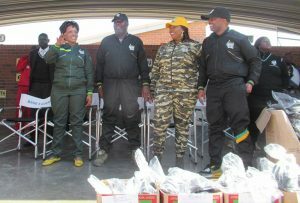 “I dedicated this day to be here, hoping that Moshimane donate blankets to us as elderly people of Diepsloot.” Said Nsele. She said she would like to see Mandela Day marked daily because most people in South African communities need help.